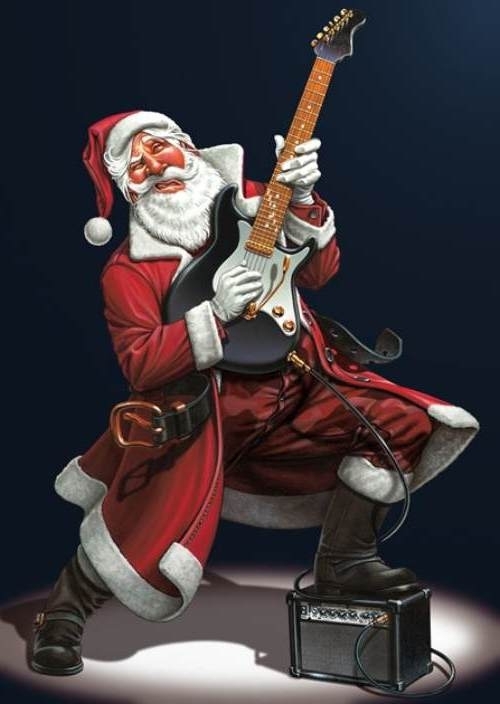 Over the weekend, I decided to get my holiday groove on and listen to some heavy Christmas jams, blasting “Kidnap the Sandy Claus” (courtesy of Korn in association with Disney’s “A Nightmare Before Christmas”), all the merry night long. While sitting in an armchair of real arms with my wrought-iron mug of scalding hot cocoa, I started to ponder… how could this season get any more brütal? Here, we take a jolly journey to find the answers. Starting on a serious note, the setting is Greece, 2008, when a young man is killed by the police. The further inaction of the nation’s judicial system lights a fuse that ends on the most festive of holidays: Christmas. Though their methods may have been extreme, hundreds of people around the world revolted to shed light on police brutality and lift up the standards of living for the younger generation. The hottest lights on the market; power to end them all in the death of one. Tangled and bunched, they’ll always show you who’s boss. Long story short, when Wal-Mart sells waffle makers for $2 each, you had better hope they keep plenty in stock and their aisles wide enough for stampede. 5. 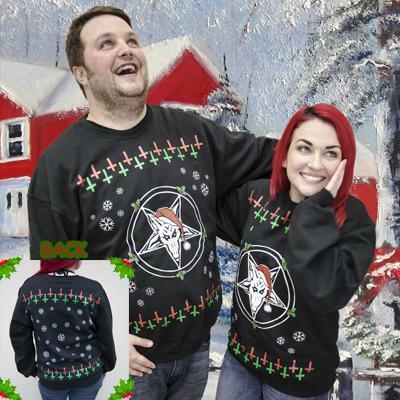 These sick Slayer sweaters. 6. Who needs physics when you’re this brütal? 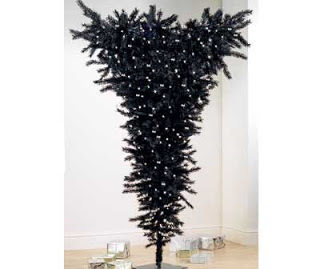 Upside down trees: For when upside down crosses are a bit too cliche (and just out of season). Who needs gifts when you’re already a gem? 8. Christmas EXPLOSION NUMBER 3!!! 9. 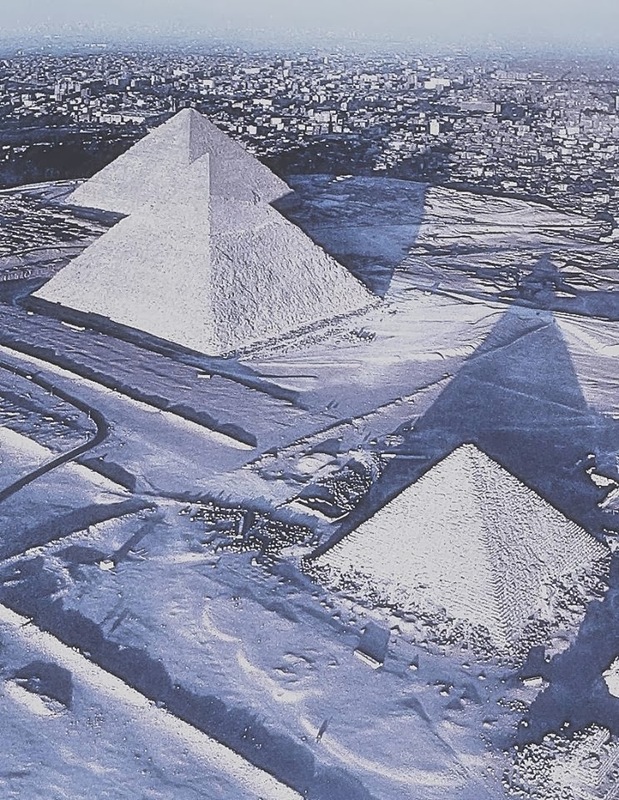 It snowed in Cairo for the first time in 110 years. 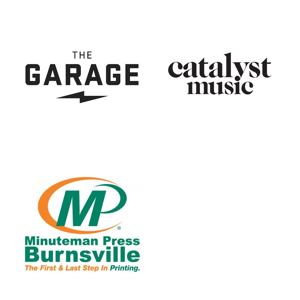 That’s totally tubular, and extra brütal. 10. 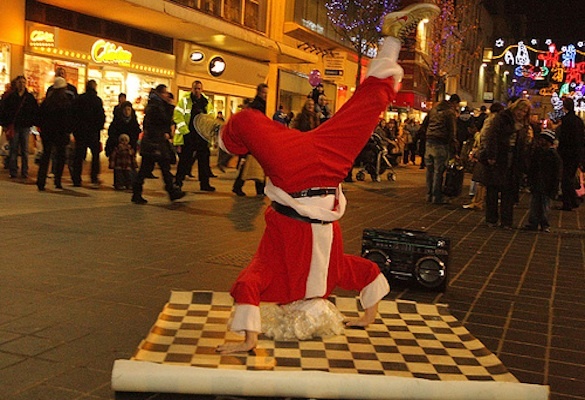 The man with the moves, Santa hits the grooves. It’s a miracle on 34th street! And now our holiday journey comes to a close, slamming shut like the gates of Valhalla on our enemies. 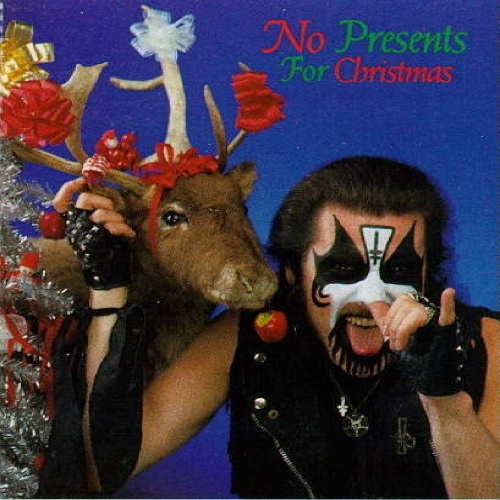 Have a righteous New Year, and keep it brütal!